Twinkle toes! Our feet need looking after, so a little of this refreshing foot cream will be a step in the right direction! A creamy blend of nutritious oils drizzled with tropical tangerine essential oil. A zesty combination to moisturise and soothe hard tired skin and invigorate feet in need of a treat. 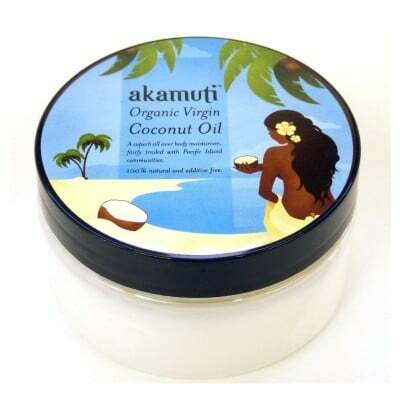 Made by Akamuti, a great little company committed to offering both people and planet friendly products. This product was a WINNER at the Natural Health and Beauty Awards 2010. A completely natural foot cream, combining nourishing oils with organic beeswax. Like many of the citrus oils, the citrus fruit family have a special affinity with the skin. Kind and gentle, tangerine oil is also known for its anti-fungal and antiseptic properties. A great oil for skin problems it helps to combat fungal issues and dry skin problems. It is regenerative to poor skin tone and helps to wake up the skin. Warm, fresh and zesty, tangerine oil is gently energising and uplifting. The name Akamuti is an African word taken from the Bemba language of Zambia. It has two meanings. It translates as ‘Little Tree’ or ‘A Little Bit Of Medicine’ It goes to show that in many parts of Africa, trees and medicine are one and the same and they are revered as powerful sources of healing. Tree ingredients are very important in our products and we feel that trees are not only essential for our health but also for the health of the whole planet. Every product Akamuti make is handcrafted from start to finish from individual ingredients by real people (not machines!) They start off with chunks of beeswax; slabs of tree butters; loose herbs, barks, resins and flowers; jugs of golden oils and aromatic distillates. They then infuse, filter, melt, pour, strain, mix and stir to create beautiful creams, moisturisers and butters for you to enjoy at their best. Absolutely no preservatives or nasties are added at any stage! Everything is made in small batches to ensure you receive your products as fresh as possible, with as much shelf life as possible. Ingredients: Sweet Almond Oil (Prunus dulcis), Apricot Kernel Oil (Prunus armeniaca), Organic Beeswax (Cera alba), Peach Kernel Oil (Prunus persica), Red Mandarin Essential Oil (Citrus reticulata), Organic Sweet Orange Essential Oil (Citrus sinensis), Tangerine Essential Oil (Citrus reticulata), Myrrh Essential Oil (Commiphora myrrha) Limonene* Linalool* *Naturally occuring constituents of the essential oils used.